China is now the new leader of the shipping trade with the Americas after a recent $6.3 billion dollar deal. The state-owned Cosco Shipping Holdings Company offered Orient Overseas International Ltd a $6.3 billion dollar buy out, which would create the the largest shipping entity shipping to North America. The offer was made based on a 49% premium based on the average twenty day trading price prior to the announcement. That is the largest premium for a major shipping deal since 1997. This massive take over would beat Copenhagen-based A.P Moller-Maersk A/S as well as France’s CMA CGM SA. The buy-out was announced Sunday in Hong Kong and will be making waves around the world. Cosco Shipping Holdings Co. will now be the largest container carrier through out the Pacific Ocean. The consolidation of the two companies has the potential to help boost the container rates on the America’s route, which is the second busiest route in the world. This route is considered a key piece in the survival of the struggling shipping container industry. It is only second to the route that moves goods from Asia to Europe. Recently, the entire industry has struggled with slumping charges and over capacity, but earlier this year things began looking up. Maersk and Hyundai Merchant Marine Co. said that they were able to get higher fees from customers on their annually re-negotiated contracts. The new Cosco-Orient Overseas combination would have the capacity to ship 77,208 containers a week between Asia and North America. The combination will operate more than 400 vessels with a total capacity of 2.9 million twenty-foot containers. While this may make Cosco have the largest shipping potential for North America, it is only the third largest in the European trade route. The merger between the two companies has caused the stock shares to surge by over twenty percent on Monday, which is the largest gain in eight years. The CFO of Cosco Shipping said that the purchase of Orient Overseas will be funded by bridge loans from the Bank of China. He also stated that the company has no further acquisitions at this time. 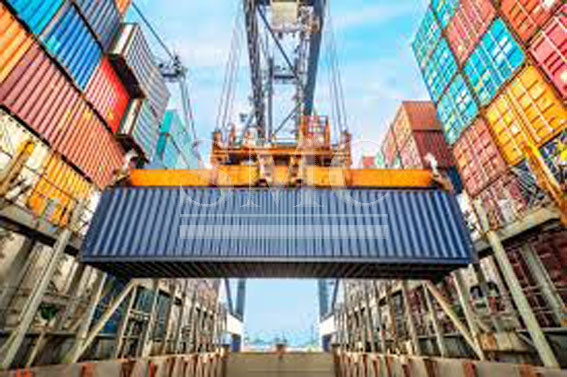 The timeline for the regulations and approval of the transaction is unclear, but Cosco’s Executive Director said, “There is a very good chance we will get all the regulatory approvals because we always comply with all rules”. If the deal goes through Cosco will now have 11.6% of the entire market share making them the third largest in world. This merger is another way China is reaching their goals of “Made in China 2025” and expanding their “One Belt One Road” initiative.